The Ultimate Guide To Heavy Duty Mountain Bikes For Big Guys. I first thought of mountain bikes for big guys after watching the movie New World Disorder 1. It’s a stunning exhibition of scary adventure and aptly captures the theme of man and his machine – a mountain bike- putting nature to the ultimate test. I am 275 lbs. and I advocate for mountain bikes for fat guys or heavy people because I have tried similar stunts in ordinary MTBs. Forget the brand name. Standard mountain bikes offer nothing to write home about. You don’t fit, ride scared feeling as if it can crash on you anytime, and are hugely uncomfortable. Anyway, I have dedicated this write-up to mountain bikes for big and tall guys because they are kings in the testing trails for big men and women. What Are Mountain Bikes For Heavy Riders? A heavy duty mountain bike is a mountain bike made of improved materials purposely to withstand pressure, offer maximum support, and carry the excess pounds of bigger guys. Mountain bikes for big guys have tougher frames, wider wheels, spacious saddles, and have better parts all over making them the best in terms of comfort, performance, and safety for big people. Why Do Heavy Riders Need Mountain Bikes For Big Guys? So, why exactly am I insisting on the best mountain bikes for heavy riders? A bike frame is your bike’s foundation and its quality can either make or break its functionality and performance. Standard MTBs use narrower and weaker materials for frames including thin aluminum. However, we, oversized and tall people can easily overwhelm such a design. Thankfully, advances in bicycle technology have resulted in more resilient and modern materials such as carbon fiber for bikes for heavy riders. The end outcome is a well built and unshakeable mountain bike for heavy men. You will find a big man mountain bike oversized in many ways. It’s certainly taller, has spacious saddles, and has a design which is more supportive of a big person. This helps these bikes for big men comfortably bear with more body mass and towering heights, something rare in some of the painfully petite-sized mountain bikes. Makers of bicycles for big guys seem to understand that heavier mountain bikes are super hard to pedal uphill. They, therefore, scrutinize every measurement and engineer the construction in such a way that the bike is lighter to steer without sacrificing strength. You will be surprised how smooth they feel and be impressed by the silky gear shifting. The aftermath is a super effortless ride. The technology and labor used in making mountain bikes for larger riders aims and succeeds in producing quality and durable bicycles. As I mentioned before, all the components are first class and ultimately, the end product is long lasting even if you’re consistently riding on rough terrain. Because of their unmistakably high caliber, mountain bikes for big and tall guys will motivate you to ride for more miles and hours. Consequently, you have a better chance of achieving your fitness, health, or heroic adventure goals. Also called Clydesdales, the best mountain bikes for the money intended for obese people come in all manner, shape, and sizes. The best women’s mountain bikes have been adapted to cater for a female physique of a big lady. Your bigger waistline and bottoms plus broader hips are very well supported. As well, the saddle, handlebar, and grips are all female-specific in both shape and reach. 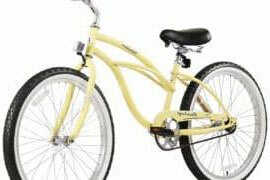 Additionally, the bike is tuned for surplus female comfort, has a heavy-duty frame, and roomy saddle. 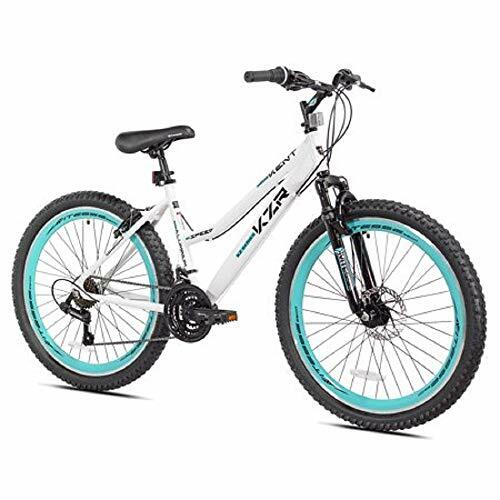 A few of them, such as the Kent’s KZR mountain bike happen to be also very colorful and has a capacity to handle 250lbs. They are far much heavier, sturdier by a mile, and are highly tailored to make riding for plus-size men an exciting hobby. The engineering brings forth a bike with fast gear shifting, smooth rides, and one which is easier to control regardless of how big you are. 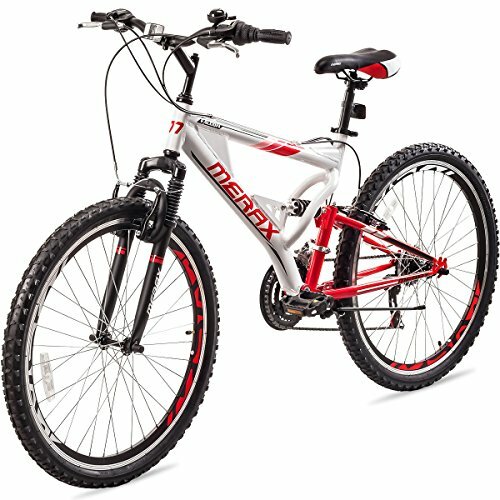 I have been impressed by several men-specific mountain bikes but my all-time favorite is the Merax finiss 26-inch aluminum mountain bike , perhaps because it was my very first mountain bike and can handle a 330 lbs. weight capacity. The best full suspension mountain bikes for heavy riders are also very well made with higher grade materials to help the deliver the smoothest ride on an uncompromising trail. In the entire bikes’ market, they are among the category of bicycles that have repeatedly proved very durable and capable of handling the roughest rides. Apart from the detailed suspension systems, these bikes come with extremely comfortable and spacious seats. Surprisingly, they are not too heavy considering their size. A leading model like the Merax Falcon Full Suspension Mountain Bike can handle your 330 lbs. with ease. Another spectacular choice would be Mongoose R2780 Full Suspension Bicycle which has awesome traction thanks to their 29’er tires and can handle around 200lbs. Classic hardtail mountain bikes (extra-large people) have been tried and tested in various environments. They have heavy-duty tubing and since they lack some of the common moving parts including bearings, pivots, and bushings, a hardtail is always easier to ride uphill. Their sole suspension fork provides additional control making it pleasant on the trail. 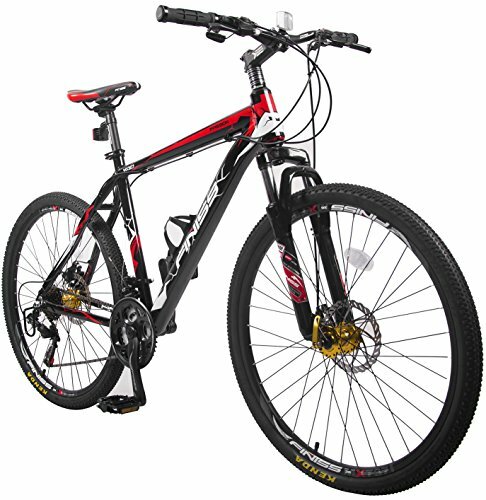 The BEIOU Carbon Fiber Mountain Bike Hardtail MTB best represents what’s expected of this class of bikes. Again, mountain bikes for men in this range are amazing. The tires and frames are precise and clearly meant for larger people within the 300 lbs. limit. And they reign everywhere- on sand, snow, rocks….you name it and in all cases, they are super-easy to ride. As I told you earlier, I am currently tipping the scales at 275 lbs. and I find the Gravity Monster Aluminum Fat Bikes for Men so much fun and it can handle around 300 lbs. Manufacturers have somehow started to crack the puzzle of how to build robust but low-priced mountain bikes for larger people. This is evidenced by the highly-rated Vilano blackjack 3.0 mountain bike which is breathtaking on the trails despite its cheaper cost. But this performance isn’t entirely unexpected considering that bikes at this price also come with a majority of the features that you may be looking for in a fat man mountain bike. From 29ers wheels, double wall rims, disc brakes, and even an imposing fit, these MTBs are very well equipped. Consider These Factors before Choosing A Heavy Duty Mountain Bikes For Big Guys. Of course, the superior quality in extra-large bikes costs money and you need to be sure of your selection before removing your credit card. Don’t shortchange your rides by buying a poor fit. Luckily, MTBs sizing is quite simplistic: You are either small, medium, or large. Let me also mention that most mountain bikes for heavy women and men go for low stand-over height meaning you can’t trust the conventional tactic of measuring height by standing over the bicycle flat-footed. However, you can easily get the sizing right either by referring to the size charts, doing a test ride or consulting a local bike shop for advice before ordering online. For long, the 26-inch wheels have been common but have sometimes been found wanting in rolling over obstacles. Thank God that large wheels are now readily available with the 27.5-inch and 29-inch coming powerfully to the fore. Now, the 29-inch wheels are superb in terrain though tougher to handle while the 27.5-inch wheels offer a perfect middle ground between the narrower 26-inch and the 29ers. To get the best, your bike’s parts and components are so crucial. Undoubtedly, things like the brakes, shifters, gears, and handlebars go a long way in making your bike to work. The best bike for big guys have the best components and are often lighter and more durable. The other biggest parts affecting performance are its suspension and the frame materials. The outcome of having exceptional parts is an outstanding mountain bike that is capable of dominating any territory. Trail Mountain Bikes: Arguably the most versatile, this style type can beat off anything you throw at it and will keep you smiling as you pedal uphill, speed downhill, and practically anywhere. Downhill: This is the master downhill. It comes off as burly and is your go-to bike on steep terrain, jumps, and on speedy lanes (but never for climbs). All-Mountain and Enduro: Enduro mountain bikes have enhanced suspension and a slacked-out geometry and are very stable downhill. They are however heavier and more difficult to pedal uphill though not as poor as their downhill cousins. Overall, these bikes are the favorite for riders who are into longer distances. Cross-country Bikes: cross-country bikes are pedaling monsters. These have basic suspension hence are lighter in weight and more efficient uphill. If you love efficiency and speed, a cross-country mountain bike is also awesome. You shouldn’t, however, expect a championship-winning ride on a technical downhill terrain. Closely following the bike style is the question of your preferred terrain. Yes, you may harbor big dreams of one day riding out in those remote mountains you hear people talk about but, let’s face it: if you are currently only good around trail centers, it’s better to go with a big man mountain bike that is tailored for such terrain. You can, of course, step up later as you build your riding skills and endurance. Hardtails have a suspension only on in front and are comparatively lightweight. The biggest news about these bikes is their lack of sophistication which makes them more affordable and less prone to breaking down. On riding, they tend to excel uphill, cross-country riding, and in trail centres. In comparison, the best full suspension mountain bike for big guys is quite advanced and comes with an elaborate suspension on the rear as well as the front. For this reason, they allow you to roll over a downhill technical terrain with grace and glamour. You will, however, need to cough up a bit more for this extra comfort and bear with more weight. Mountain bikes for heavy people prices oscillate wildly but practically, the higher you go, the better things become. My advice is that you go for the best bike that your money can buy. Specifically, focus on MTBs with lighter, but stronger parts, improved hydraulic disc brakes, performing chain sets and high-end carbon parts (if your pocket permits). Let nobody lie to you: Your weight is important. Otherwise, how would you justify buying a flimsy 225 lbs. 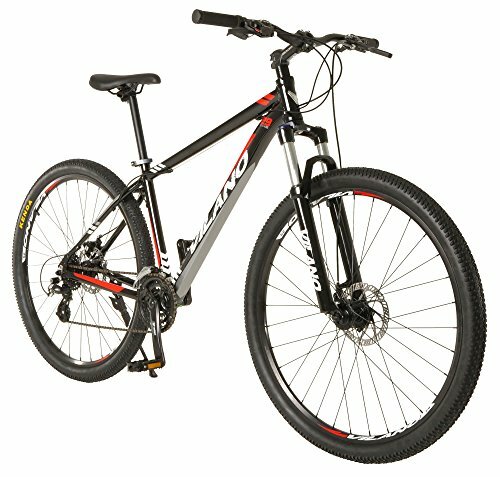 capacity mountain bike when you are 300 lbs.? By taking that direction, you are setting yourself up for failure as sooner than later, you MTB will, most probably, give in. And if it survives, you’ll always be playing catch up. So, if you are a gentleman weighing 300 lbs., limit your selection to mountain bikes for 300 lbs man. Likewise, if you are 400 lbs., your perfect bike will be a bicycle weight limit 400 lbs. and so on, and so forth. After watching several other episodes (2, 3, and 5) of the New World Disorder series, and then mixing this with my experience so far, I am even more persuaded that the only way big guys can win over Mother Nature is to have the best mountain bikes for heavy riders. Their materials, design, and parts have not equal as far as a big man/woman is concerned. And to cap it all, the construction makes you feel right at home and is so much fun! In short, mountain bikes for heavy riders are simply the best if you are big and dreaming of conquering the testing trails of America’s wonderful God-given nature.